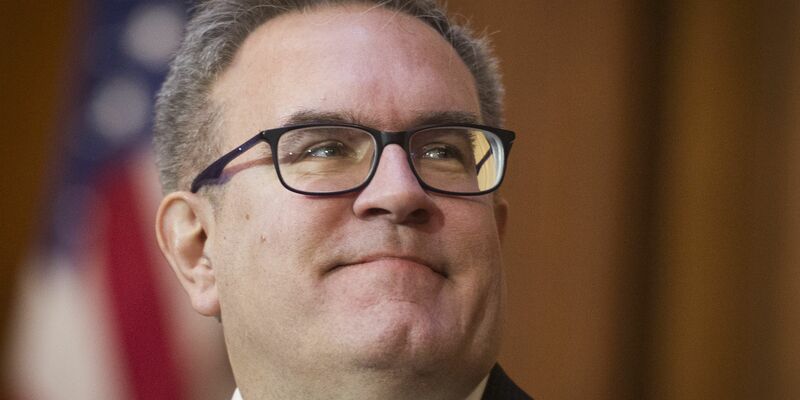 WASHINGTON (AP) — Acting Environmental Protection Agency chief Andrew Wheeler’s past lobbying work for coal companies and other industries regulated by the agency is expected to draw scrutiny Wednesday when a Senate committee considers his nomination to the position. Wheeler's roughly six-month tenure as the agency's acting administrator has been far more low-key than that of the man he replaced, Scott Pruitt. Pruitt's fondness for the perks of power and for alleged favors — from round-the-clock bodyguards to lavish travel to special deals on mattresses from the Trump International Hotel — generated constant headlines and helped lead to Pruitt's resignation as the agency's administrator in July. 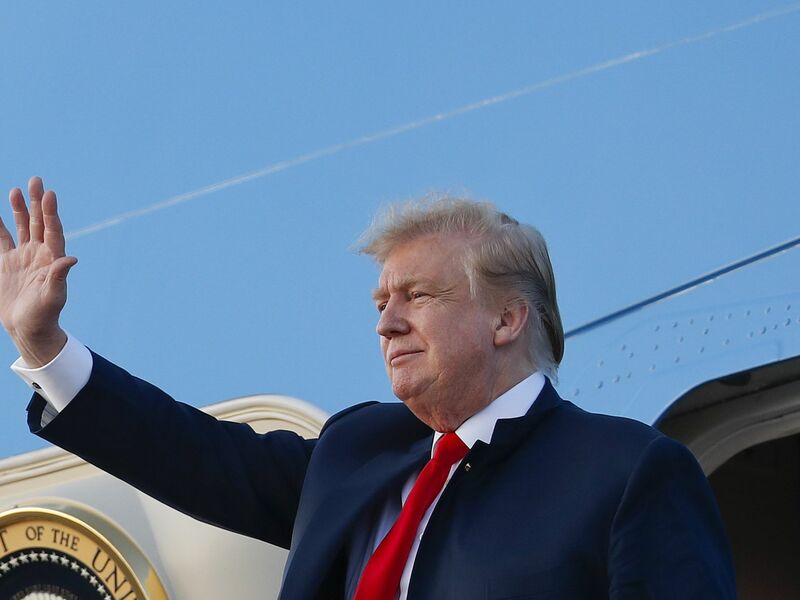 In line with Trump's regulation-cutting ethos, the agency under Wheeler has moved forward on major rollbacks and pending rollbacks of Obama-era environmental measures: easing the mileage standards that cars and trucks will have to meet, relaxing measures on climate-changing carbon emissions from coal-fired power plants and removing millions of miles of wetlands and waterways from federal protections, among other changes. Republican Sen. John Barrasso of Wyoming, chairman of the Environment and Public Works Committee that will hear from Wheeler on Wednesday and question him, said earlier this month that Wheeler had done an "outstanding" job running the EPA. The U.S. Chamber of Commerce and some energy trade groups are among the industries publicly supporting Wheeler's nomination. "Wheeler has proven to be a steady hand, and has demonstrated effective leadership while advancing regulatory reforms alongside continued strong environmental protections," Chamber of Commerce executives said in a statement. But environmental groups say his lobbying work immediately before, for industries regulated by the EPA, should disqualify him outright. "A coal lobbyist is unfit to run the EPA, period," said Matt Gravatt, associate legislative director at the Sierra Club. Wheeler worked at the Washington law and lobbying firm Faegre Baker Daniels from 2009 until April 2018, according to his filing with the Office of Government Ethics. His lobbying clients included coal magnate Bob Murray, who pushed hard on the Trump administration to grant a series of breaks for the sagging domestic coal industry. Wheeler accompanied Murray to a March 2017 meeting to pitch then-new Energy Secretary Rick Perry on Murray's list of desired rule rollbacks and other breaks from the Trump administration for coal. Murray had sought some of the EPA's coal initiatives under Wheeler, which included signing a rule easing federal regulation of toxic coal ash, removing an Obama rule that pushed electricity providers to move away from dirtier-burning coal plants and targeting an Obama rule limiting emissions of toxic mercury from coal plants. A watchdog group, Citizens for Responsibility and Ethics in Washington, filed an ethics complaint Tuesday with the EPA's Office of the Inspector General alleging that Wheeler's oversight of those and other rollback proposals at EPA may have violated his government ethics pledge to abstain from regulatory decisions affecting his former lobbying client for at least two years. "His failure to abide by ethics obligations and to avoid the reality or appearance of conflicts critically undermines the EPA's integrity and weakens public confidence in our government," CREW executive director Noah Bookbinder said in a statement. EPA spokesman John Konkus called the accusation "baseless" and "wrong." "Acting Administrator Wheeler works closely with career EPA ethics officials and follows their guidance. This is nothing more than a last-second political stunt by a group to try to attack President Trump's nominee hours before his confirmation hearing and should be recognized as such," Konkus said. Conservation and environmental groups said Wheeler should also be pressed at Wednesday's hearing on the environmental and public health effects of the EPA's proposed regulatory easing. "It's imperative the senators ask the tough questions about his role in the decisions and the impact he's going to have" on health and safety, said Collin O'Mara, president of the National Wildlife Federation. Conservation groups objected this week to the Republican-controlled Senate committee holding Wheeler's nomination hearing during the government shutdown over Trump's funding dispute with Congress. The grandson of a coal miner, Wheeler worked for the EPA in the 1990s and later as a longtime staffer for Senate Republicans. Lawton Family YMCA held their second color run fundraiser in conjunction with Easter weekend. This was followed by a Easter Egg hunt.